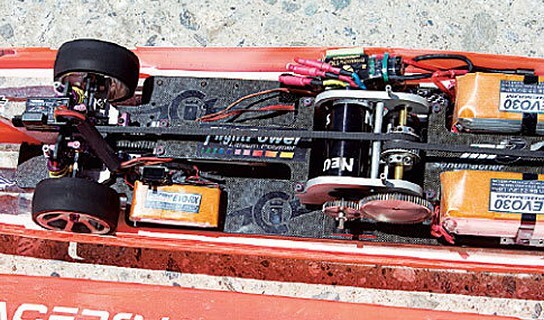 frankly speaking, Radio Controlled model (or some called it Remote Controlled model) is the last thing you would expect to have a ‘world’s fastest’ tag to it but in this case, this is exactly what this DIY RC car has achieved. 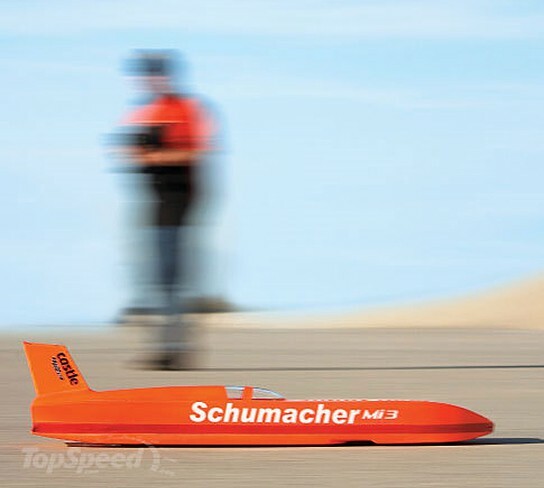 meet Schumacher Mi3, touted to achieve a shattering 161.76 mph (about 260 km/h) top speed and is hence, crowned the world’s fastest RC car. if i were you, i’d stand way clear when this baby is streaking around. i used to pilot a RC truck that made 60 km/h and i already found it hard to keep it in control, hence at 260 km/h, the Mi3 just made it into the insane territory. 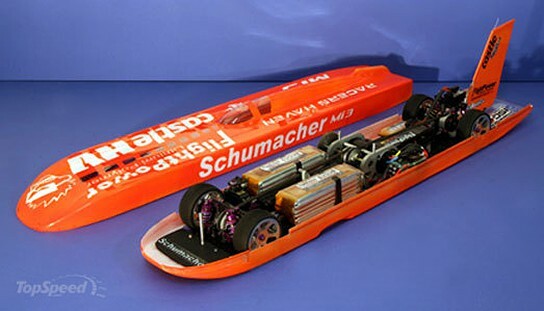 built by one Nic Case, who took six months and more than $4,000 to put this record breaking RC model together. true to its record speeding feat, the RC model chassis is anything but ordinary. 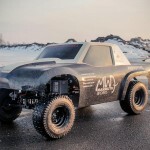 it is clad in a rocket-like, streamlined bullet body handcrafted from carbon fiber that looks like the real life land speed record counterpart. 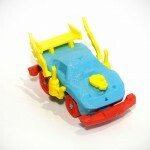 under the hood, is an electric motor setup and 12-cell battery pack that pushes out 11 horses. wow, i’m totally speechless. this is pretty insane. don’t you think so?